Vertical Corner Link Bracket for C-Channel - AndyMark Inc. 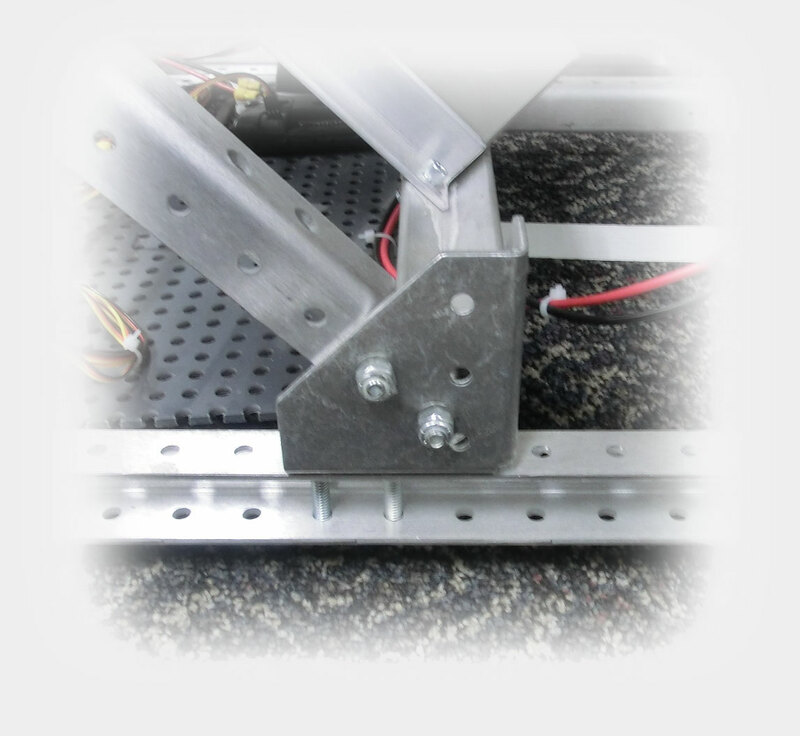 This is a corner connecting plate that you can easily mount to your C-base chassis and use more c-channel to build at a 45 or 90 degree angle. 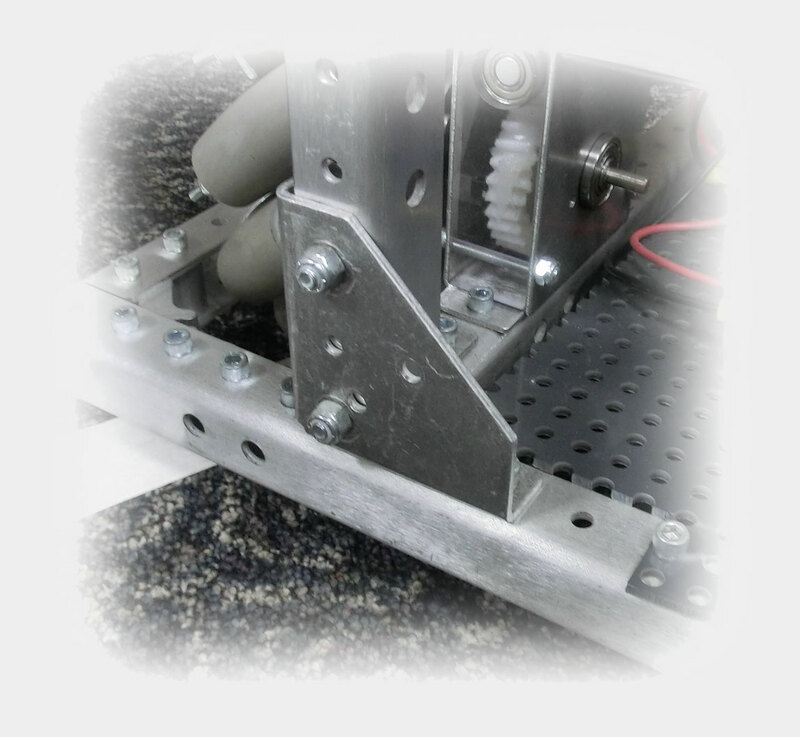 An excellent and very sturdy corner bracket that can be used in a variety of ways. Great at the chassis corners or attaching bumpers, and a pair of them make a nice solid battery holder. 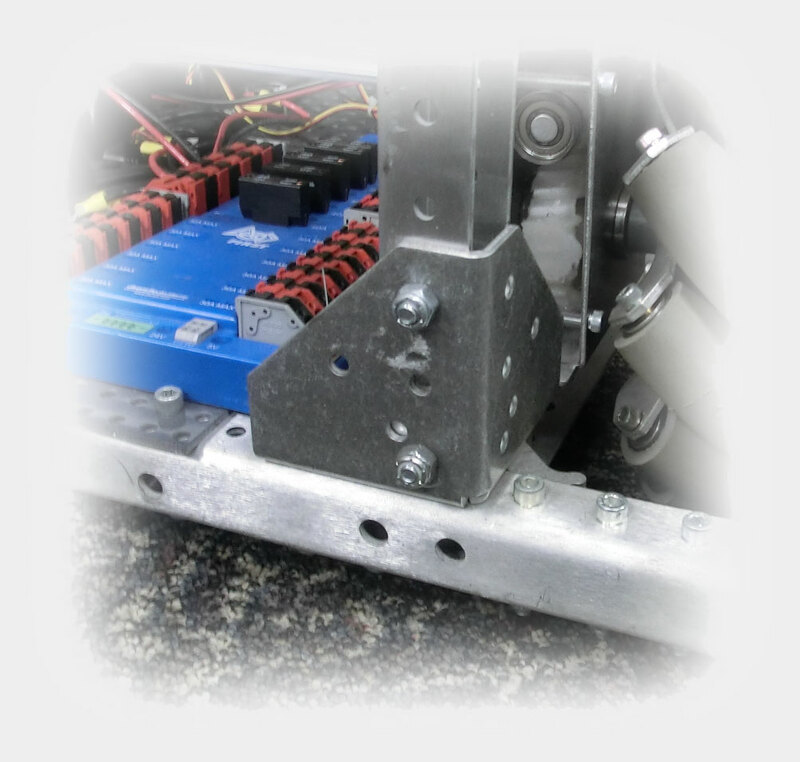 Solid stuff; AM is our first choice for FRC parts! These pieces are a wonderful addition to andymark's product inventory. I would suggest that a piece like this only not for corners, as in half of this piece, to make 45 degree joints anywhere on the frame.